With this post I’m deviating a tad from the Jesus program to dwell on a painting that is particularly timely for me and my family, who in the wake of a cancer diagnosis are being forced to hope. My Aunt Marjie, always such a lively presence and so full of joy, has been confronted with the sudden news of a malignancy that’s spreading through her body. And so she—and we who love her—are hunched over in twilight, plucking the last string the doctors have left us, striving to hear music. George Frederic Watts (British, 1817-1904), Hope, 1886. Oil on canvas, 142.2 x 111.8 cm. Tate Britain, London. George Frederic Watts painted two versions of Hope in 1886—the first with a star in the distance, which is in a private collection, and the second, the more famous of the two (pictured above), without the star. Painted after the death of his granddaughter, it shows a blindfolded woman sitting atop a globe, clutching a wooden lyre that has only one string intact. 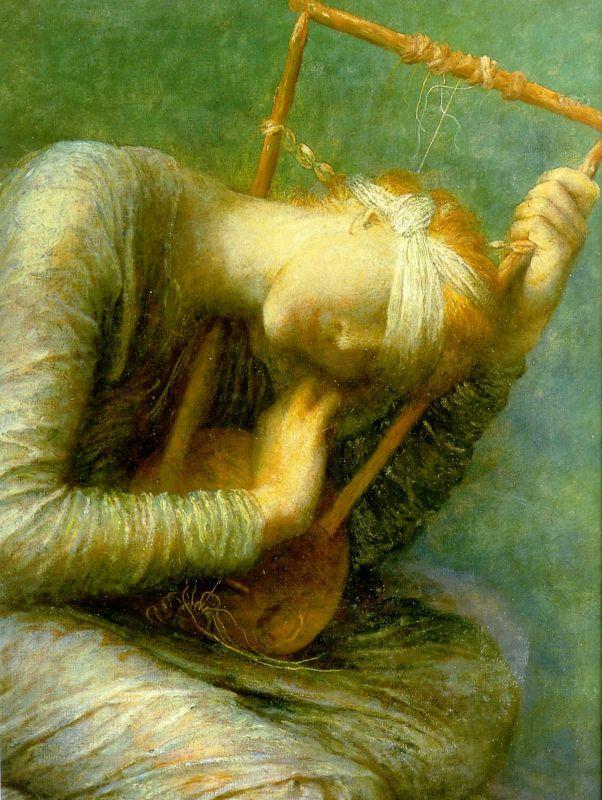 Instead of using the more obvious allegorical device of light to signify hope, Watts uses music: his figure leans in toward her instrument and tiredly plucks its remaining string, resting in its resonance. Perhaps the mood of the painting seems too melancholy to you to suggest hope. Where’s the rising sun on the horizon, or the soaring bird, or the blooming flower? Not here. Instead there is the suggestion of a faint song—invisible, intangible. We tune our ears to it, and it sustains us. Those who are forced by circumstances to hope are in a misty, dark, uncertain place. Watts knew it well; he was there. And his portrayal of that state is raw, honest; it avoids platitudes. When we hope, we don’t move out of the darkness or the mist. We sit in it still, but we incline ourselves toward favorable possibilities. there is something in man which is always apparently on the eve of disappearing, but never disappears, an assurance which is always apparently saying farewell and yet illimitably lingers, a string which is always stretched to snapping and yet never snaps. He perceives that the queerest and most delicate thing in us, the most fragile, the most fantastic, is in truth the backbone and indestructible. The personified Hope of Watts’s painting “is dim and delicate and yet immortal, the indestructible minimum of the spirit”; she holds to her breast “something damaged but undestroyed.” Her name is not Hopeless or Despair—for if it were, she would put down her lyre, considering it no longer capable of making music. But instead she keeps on clutching it and relishes the one beautiful note that sounds from its string. Why is Hope blindfolded? Because she sees with the eyes of the heart what the physical eyes cannot yet perceive. Just as she hears a song that some others cannot hear. By way of application, Wright exhorts his audience to have the audacity to hope in their own lives, whether that be for a job, healing, reconciliation, or whatever. One minute, he says, we’re on top of the world, and then something devastating comes along, leaving us feeling isolated and in tatters. 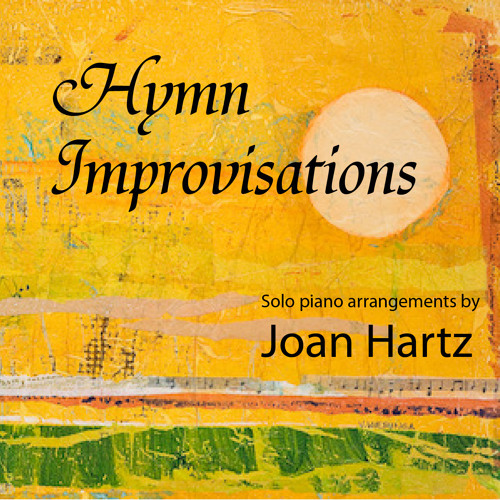 But at that time, we—like Hannah, like Hope—need to take whatever we have left and use it to play music. Wright also discusses the painting in light of global issues like war, racism, and famine. Furthermore, he references the African American spiritual “Over My Head”: “Over my head I hear music in the air. . . . There must be a God somewhere.” Composed in the context of forced labor, abuse, and indignity on end, the song nevertheless acknowledges the existence of an unseen realm in which joy reigns. Despite our harsh circumstances, we can inhabit that space of joy, of optimism; we can call it down to ourselves, from the God who gives it freely. Hope is hearing the music up above our heads. Besides partially inspiring Obama’s political platform, Watts’s Hope is also the framing device of a 1922 fictionalized short film of the same title, starring Mary Astor. The movie opens in Watts’s studio, where we meet a downcast model. She tells Watts that she’s sorry, but he had better find a different model, one who exudes happiness. Watts tells her to cling to hope, for “without its golden thread, sorrow becomes despair.” The artist then pulls out the painting Hope and proceeds to tell the woman the story that inspired it—one of a woman who hopefully awaited her beloved’s return from a dangerous sea voyage. In other words, love hopes all things (1 Corinthians 13:7). So during this time of anguish my family and I channel Hope, bending low to catch the sweet sound of victory over cancer, to inhabit that 5 percent chance. We anticipate the best of all possible outcomes, knowing that although Marjie will likely grow fragile and thin and may very well be stretched close to her breaking point, she—like that harp string—is indomitable. And love will bear her up. This entry was posted in Death / tragedy / suffering, Western Art and tagged allegory hope, audacity of hope, george frederic watts, hope and cancer, hope movie, jeremiah wright hope, mlk hope, obama hope, over my head spiritual. Bookmark the permalink. Bend low to hear the soft whisper of our prayers for Marjie. No doubt all who read this moving piece will hold her (and you all) up in prayer. This is one of the most beautifully written and moving essays. It brings tears to my eyes. It is such a moving view of hope. In God, all things are possible and prayer is already lifting Marjie up. We continue to hear that harp string. Hope is amazing- I am continuing to pray for Marjie! I re-read this today in light of last night’s events in Paris. Where else can we go except to the hope we know in Christ. May we incline our ears to this thin sound and be courageous. Thank you. Well written. Bless you.